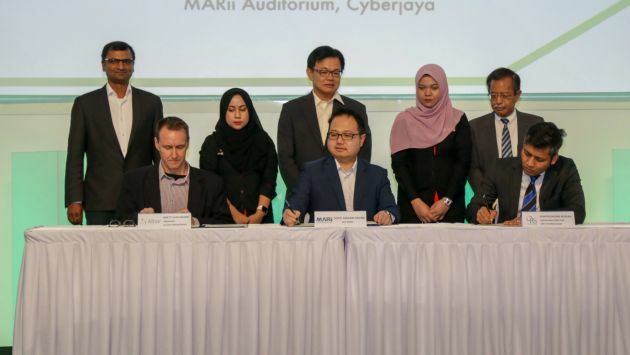 The Malaysia Automotive, Robotics & IoT Institute (MARii), US-based Altair Incorporated and Malaysian company ORS Technologies have signed a memorandum of understanding to collaborate on product/process development optimisation through the utilisation of digital twin technology. The agreement will see the three parties combining their expertise in market insights, engineering solutions, automotive design technology, industry awareness, training and consultation as well as knowledge transfer in the area of digital twin technology in both local and regional markets. A digital twin is an exact virtual representation of a physical product, service or a process, aimed at providing an understand and prediction of the physical counterpart’s performance characteristics. The digital representation can be used to simulate situations arising in the real world and to find the most optimal solution that can be implemented. “The application of digital twin technologies unlocks a myriad of new possibilities for the automotive design process, as well as others,” explained MARii CEO Datuk Madani Sahari. He said that the real-time input made possible through the technology has the potential of reducing product and process development costs, creating better opportunities for Malaysian businesses to enhance their competitiveness, and providing new job opportunities as well as fresh avenues of expertise for Malaysians to explore. The post MARii, Altair and ORS ink digital twin tech agreement appeared first on Paul Tan's Automotive News. 0 Response to "MARii, Altair and ORS ink digital twin tech agreement"